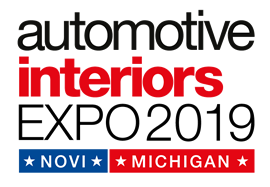 The Automotive Interiors Expo will take place this year from October 22-24, 2019 at the Suburban Collection Showcase in Novi, Michigan. With more than 100 exhibitors the fair showcases the latest vehicle interior technologies and services which are designed to ensure that the highest standards are met in terms of product quality, reliability, durability and safety. China Certification Corporation will be exhibiting at booth A418. The Automotive Interiors Expo was originally started in Europe in 2012. Since then the show has been an important showcase for all aspects of interior trim attended by production managers, quality managers, design teams and procurement people. It offers solutions by presenting every aspect of automotive interior design, production, raw materials, the latest innovations and product regulation advice. The fair offers the perfect platform to exchange problems, solutions and share insights with industry experts. Many interior trim products need a CCC Certification (China Compulsory Certification) for the Chinese market and must be labeled with the CCC logo. At our booth we will provide you more information and answer all your China CCC related questions. Come visit us at our booth A418. You can find out more about the Automotive Interior Trim Show here. Besides the Automotive Interior Expo in the U.S. you will also find us with an own booth at the IAA trade show in Frankfurt, Germany. The show takes place from September 12-22, 2019, where we will have a shared a booth with the CCAP (China Certification Centre for Automotive Products Co., LTD.). You are also welcome to call or e-mail us any time.